The damage caused to the Great Barrier Reef by global warming has compromised the capacity of its corals to recover, according to new research published today in Nature. The unique study measured how many adult corals survived along the length of the world’s largest reef system following extreme heat stress, and how many new corals they produced to replenish the Great Barrier Reef in 2018. The loss of adults resulted in a crash in coral replenishment compared to levels measured in previous years before mass coral bleaching. “The number of coral larvae that are produced each year, and where they travel to before settling on a reef, are vital components of the resilience of the Great Barrier Reef. 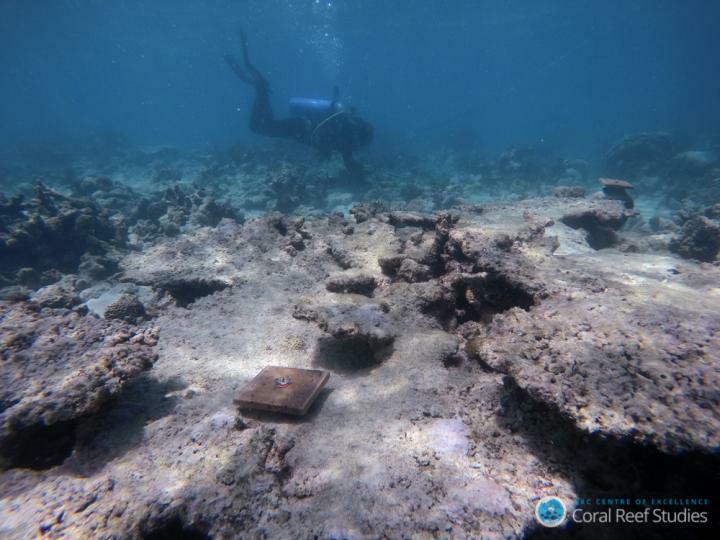 Our study shows that reef resilience is now severely compromised by global warming,” said co-author Professor Andrew Baird. “The biggest decline in replenishment, a 93% drop compared to previous years, occurred in the dominant branching and table coral, Acropora. As adults these corals provide most of the three-dimensional coral habitat that support thousands of other species,” he said. “We expect coral recruitment will gradually recover over the next five to ten years, as surviving corals grow and more of them reach sexual maturity, assuming of course that we don’t see another mass bleaching event in the coming decade,” he said. So far, the Great Barrier Reef has experienced four mass bleaching events due to global warming, in 1998, 2002, and back-to-back in 2016 and 2017. Scientists predict that the gap between pairs of coral bleaching events will continue to shrink as global warming intensifies. “It’s highly unlikely that we could escape a fifth or sixth event in the coming decade,” said co-author Professor Morgan Pratchett. “We used to think that the Great Barrier Reef was too big to fail – until now,” he said. Professor Pratchett added that the southern reefs that escaped the bleaching are still in very good condition, but they are too far away to replenish reefs further north. A selection of photos and videos relating to the study is available. Please note that any use of this imagery MUST carry the credit given.